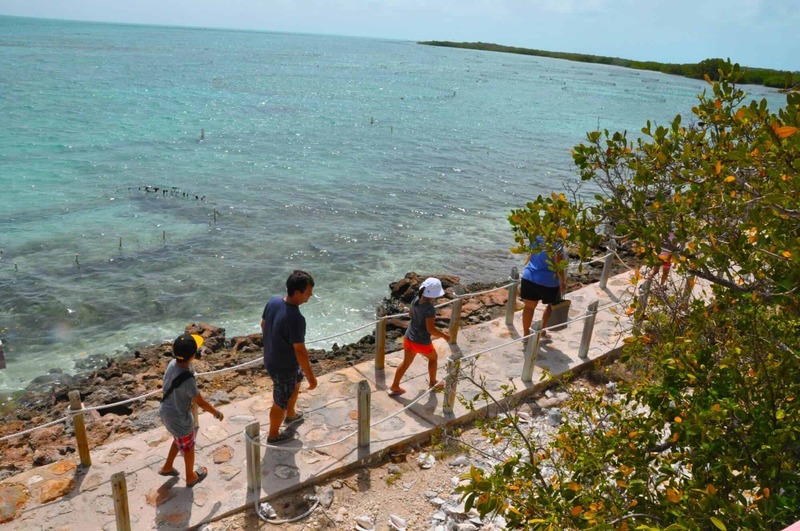 One of the top things to do in Providenciales, on The Turks and Caicos Islands is visit the Caicos Conch Farm. 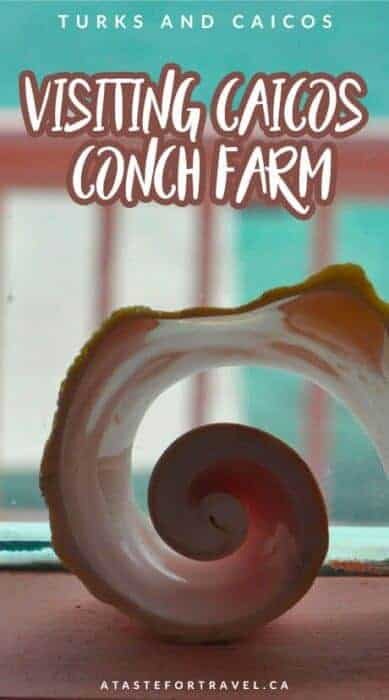 Not only does a tour of the farm offer a fascinating introduction to the life cycle of this iconic marine species but it provides details on how conch farming is helping preserve wild species of conch throughout the Caribbean. I’m not alone in my love of conch shells. The spiral-shaped Queen Conch shell with its glossy, hot pink interior is a symbol of the Caribbean and easily prompts me to daydream of white sandy beaches, palm trees and pretty cocktails. 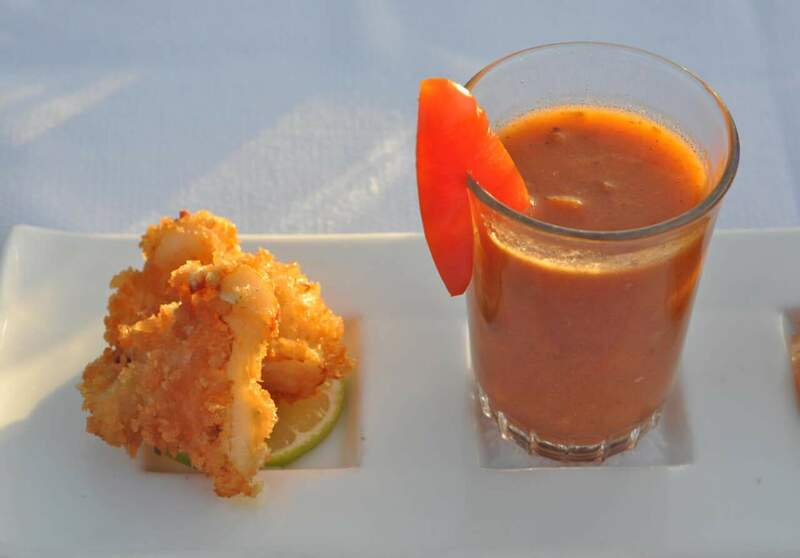 Conch is also a popular seafood in countries such as the Bahamas, Jamaica, Grenada (where it’s known as lambi) and the Dominican Republic where it’s served in many ways such as conch fritters, conch chowder and conch salad as well as stews, curries and gumbos. For centuries, the shells have been used as instruments, jewellery and decorative items. 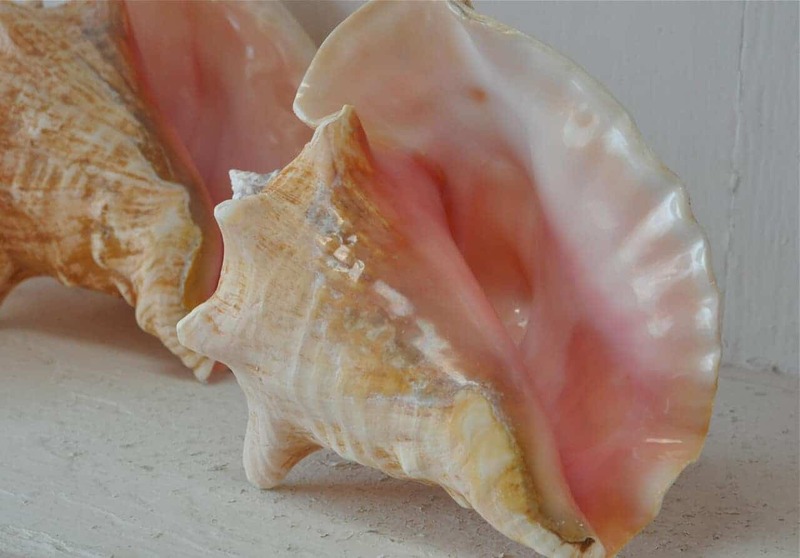 So when I heard that Providenciales in the Turks and Caicos Islands was home to the world’s first and only commercial conch farm, I was keen to learn more about this beguiling mollusk. I was even hoping they’d serve an appetizer or two. But I was in for a few surprises. The Caicos Conch Farm is the only commercial conch farm in the world. And that’s important because the incredibly edible wild strombus gigas (that’s the Queen Conch’s official name) is at risk. According to the National Oceanic and Atmospheric Administration ( NOAA) a government body responsible for protecting threatened marine life, in some parts of the Caribbean it’s endangered due to pollution and over-fishing for its meat and decorative value. Although Jamaica and the Turks and Caicos islands have well-managed Queen Conch fisheries, other nations aren’t so well-managed. Here’s where Caicos Conch Farm comes in. 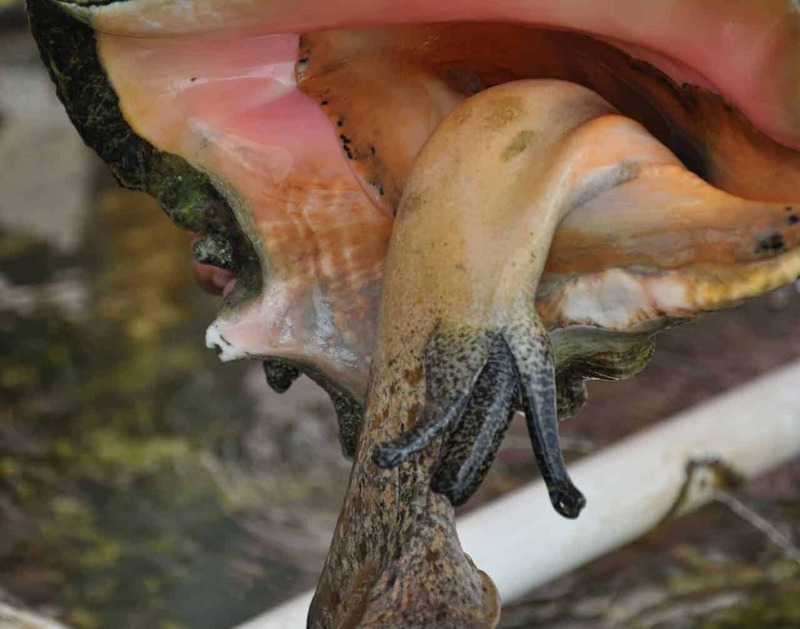 Since 1984, they’ve been farming conch in order to meet demand in a sustainable way. Farm raised conch are not designated endangered. Our tour began with a biology lesson on the life cycle of the Caribbean Queen Conch. 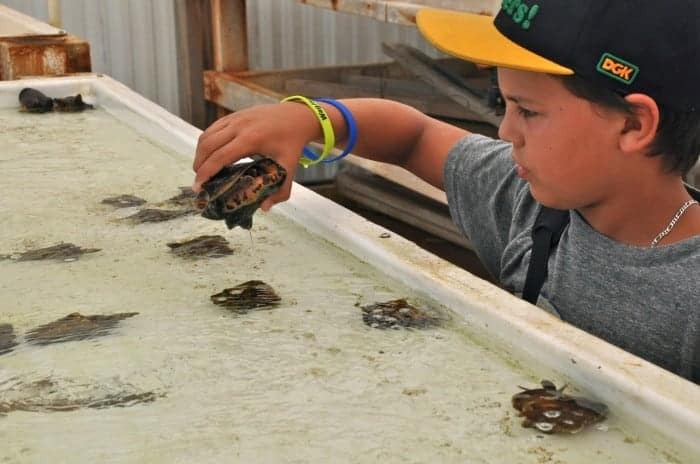 We learned about the modern technology used at Caicos Conch Farm from collection of the egg mass through hatching, grow-out and harvesting as an adult. Then we headed outdoors to see the farming operation first hand. 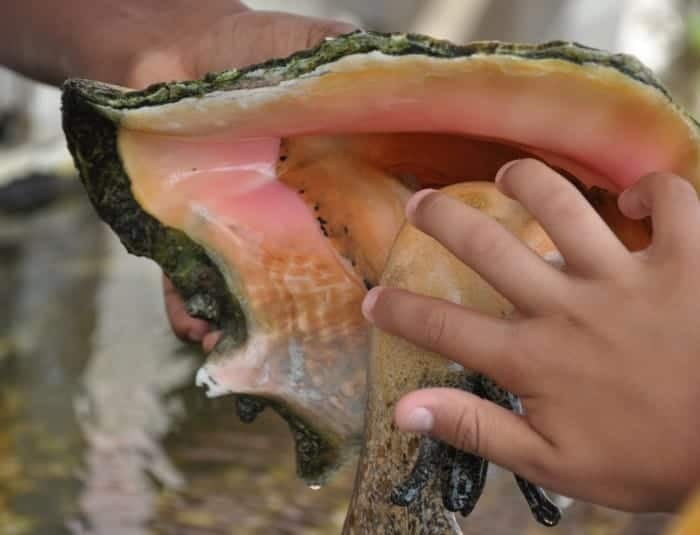 We learned how, fed with micro and then macro algae, the glossy shell continues to thicken and grow throughout the conch’s lifetime. In the wild, a Queen Conch will live 20-30 years. But if it’s being cultivated, its days are numbered. They achieve full size and are harvested by the time they’re four years old. It was at this point of the tour where we learned that the Queen Conch is part of an animal class, that translated from Latin, means “Stomach Foot.” I began to hope we wouldn’t be offered a conch tasting. We then met “Sally” and “Jerry” two resident conch that have made it to 12 and 14 years old. Jerry is notable in that his male appendage aka his “pistol” can grow to two feet long or was it nine feet? No matter, if it gets cut off, he just regrows it again. Herein lies the belief among many that conch is a natural aphrodisiac. Is that a conch foot or something else? My nine-year old grandson — my go-to guy on everything scientific, tech or sports related– found the info on the regenerative powers of a conch’s privates fascinating. Me, not so much. I began to think about the conch I’d seen and eaten. And I began to feel a bit queasy. By the time I heard that preparing conch meat involves removing the proboscis, the intestines and face, I would rather have gnawed on a conch shell than eaten the meat. Of course, that all changed when I got to the Island Fish Fry, a Thursday night street party on Providenciales that involves live music, handmade crafts and authentic local cuisine. After downing one of the legendary rum punches, I decided Jerry the Conch was likely safely asleep at Caicos Conch Farm and would never know what I was up to. 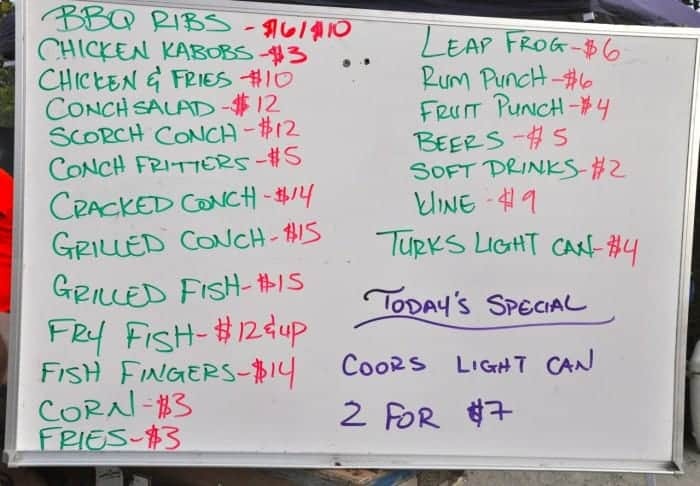 One order of sustainable conch fritters please. Where to Stay: Caicos Conch Farm is a short distance from Ocean Club Resorts ( we stayed at Ocean Club West) home to the well-worth-a-visit Seaside Cafe, a two-time winner of the island’s “Best Conch Salad” award. 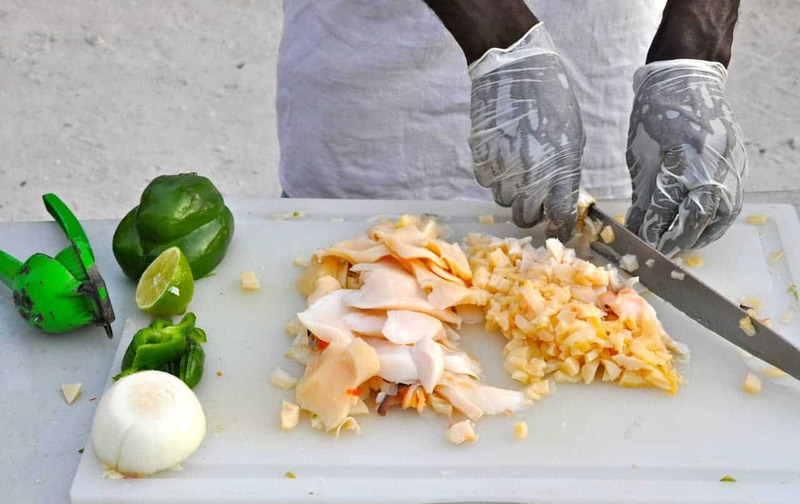 Island Fish Fry: Presented by the Turks & Caicos Tourist Board and Cultural Department, this Thursday evening event is a popular activity among locals and visitors to Providenciales. It takes place 5:30 pm to 9:30 pm at Bight Park, located oceanfront on Lower Bight Road. Get there early to get to the front of the conch line at popular Island Fish Fry food stalls such as Kayjo’s and Dolphin’s. Love the photo of the kids heading to the conch nursery. I don’t eat conch and don’t understand the appeal. But it’s great Caicos Conch Farm is helping preserve these beauties. A really lovely post with great pics. It totally offers a new and interesting side to this destination. Thanks. PS Conch fritters! Yum! Interesting article – I did not know conch could be sustainably farmed.keep those fritters coming! Not sure how I missed conch fritters in Key West but I did so I’ve yet to taste conch. I am concerned about any fish farming as it’s hard to know what they feed the fish- from what you wrote here, it sounds like these are fed naturally. I’ve heard terrible things about a lot of farmed salmon. It’s great to eat sustainably, and to farm fish, vegetables and anything else that way, too. Oh dear. Jerry. I really don’t know what else to say. Some how my Boomer brain pulled up the name of Wayne Bobbit. Remember him and his lovely wife Lorena. One of my husband’s friends doesn’t eat shellfish. When asked why, his reason is “I don’t eat viscera.” Maybe if the conch is very well disguised in a fritter and I first consumed a rum punch……. Very interesting ,Michele. I admire your bravery in actually eating conch after having visited the farm . Next time , bring me a shell por favor ! I did notice the price of a glass of wine at $ 9 … rather on the pricey side. It would be interesting to visit the conch farm, but, like you, it might make me not want to eat conch for a while. I like conch fritters and conch soup. It was good to hear about the farm’s sustainable practices. I love fish and am concerned about both the results of over-fishing and the unnatural practices of some fish farms. Very interesting!! I am sure your grandson really enjoyed it too. Tried conch years ago in Florida and was not a fan. While I was reading, I thought, “you love calamari, why wouldn’t this be good, too?” Perhaps it wasn’t prepared correctly back then. Now I want to try again based on your description of the fritters. Looks so yummy! Super interesting! I have never tried conch, now I will really never try it! Learning about the private parts was eye opening! Yikes! Jerry must be very popular on the conch version of match.com! I’ve had conch a couple times but always felt a little creepy about it and now I think I’m a retired conch consumer! My sister and I just came back from Fiji where they are very protective of the conch and tell everyone not to dream of bringing one off the ocean floor. Cool post. The conch are pretty safe with us, not huge fans of eating them. Lovely to look at though. I have learned lots of new information today – and good to know conch fritters can be enjoyed in some parts of the Caribbean without any feelings of guilt. Who knew conch were so interesting? Amazing they can live to 20-30 years. We tried conch fritters while at a cruiseship stop in Nassau, and they were very tasty! Loved your story and your photos! Just think of all the souvenir conch shells they can also sell! I’m a very strict vegetarian so I’ve never had conch. My first time visiting Cancun was almost 30 years ago. My friends and I bought shells exactly like the ones in your first photo, which i love, for 25 cents. How things have changed in Cancun! 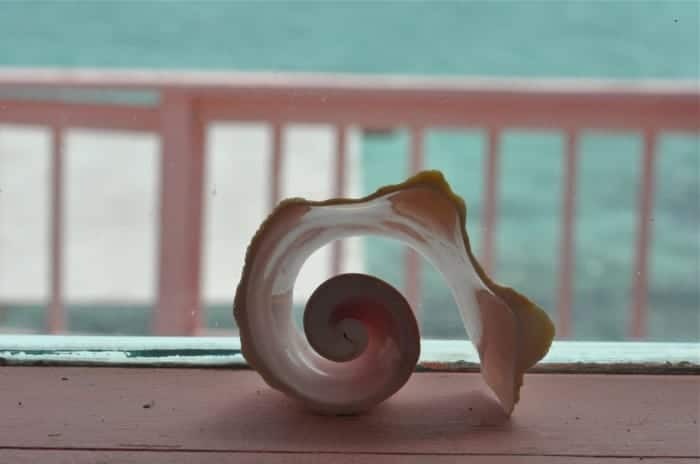 It’s so much fun traveling with grandkids and getting their view of nature like the conch. I enjoyed reading and learning about how they farm them. I can’t believe I’ve never had conch, I’ve read so much about it lately that even with the huge “pistol” I’d like to try it someday. Glad to see a place farming in a sustainable way, your photos were great! I had conch right on the dock out of the shell in the Bahamas earlier this year and was surprised that I didn’t have to spit it out. Tasted like the ocean (a bit chewy though). I really enjoyed learning more about them from your post.